The rings’ most interesting feature is the reversible top, the first-of-its-kind for a championship ring. 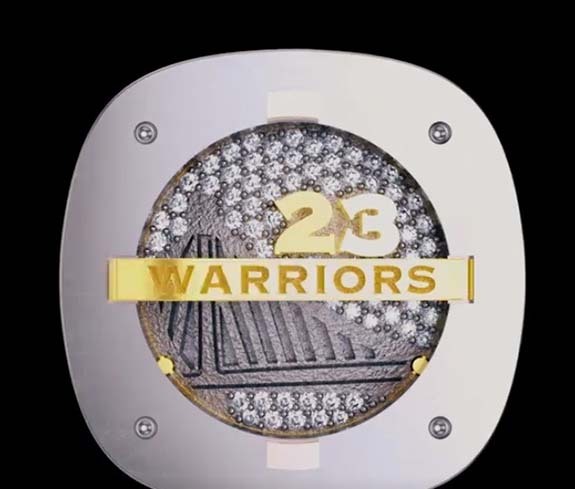 The head of the ring, which can be completely detached from its band, has a centerpiece that can be flipped from blue to white, the Warriors’ primary colors. Twisting off the top of the ring reveals the slogan ‘Strength in Numbers’ etched in gold. 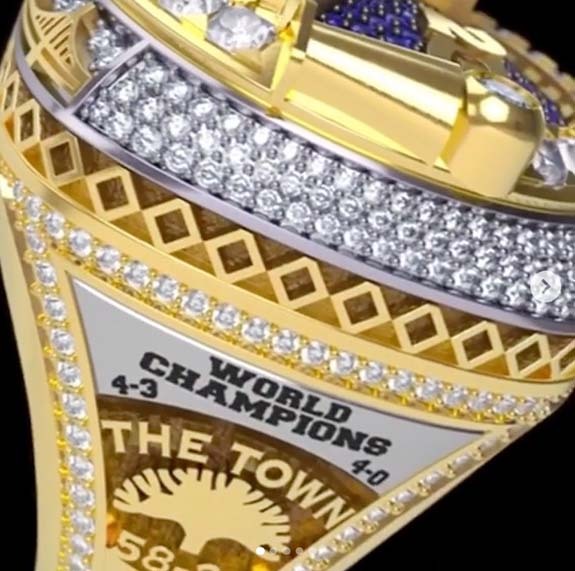 There are 56 diamonds set on the right side of the ring to commemorate the number of years the team has been in the San Francisco Bay area. The left side features the player’s name and number, Bay Bridge and “Just Us” slogan. 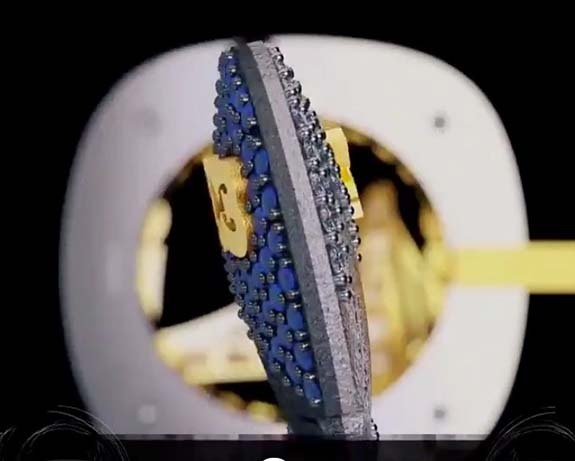 There is an interesting bristly texture (as though it were swept with a broom), celebrating the four-game sweep of the Cavaliers in the 2018 final. The top is a perfect circle to match the footprint of Oracle Arena, the Warriors’ current home. And that’s just for starters. 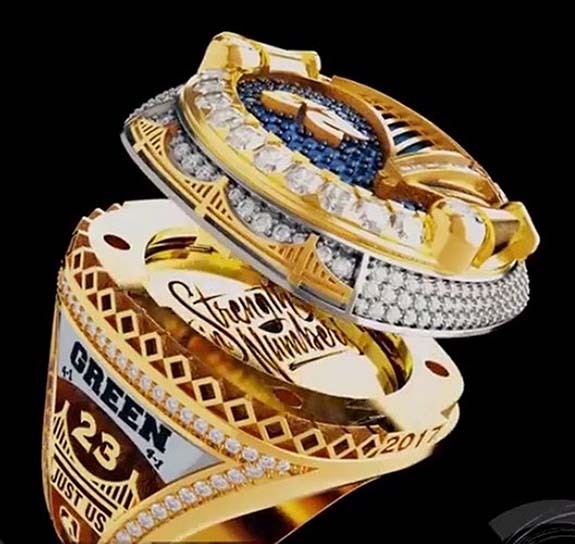 When you’ve won three NBA championships in the past four years (only the 13th team ever to complete such a feat), your championship ring needs some extra bling. Designer Jason Arasheben, aka Jason of Beverly Hills, created the technically challenging rings composed of nearly 20 pieces.